Medical coding is much more than just a clerical job. It requires someone who can demonstrate an in-depth knowledge of medical terminology, anatomy, and physiology. Becoming an excellent coder requires someone who is eager to continually learn and keep up with medical advancements. 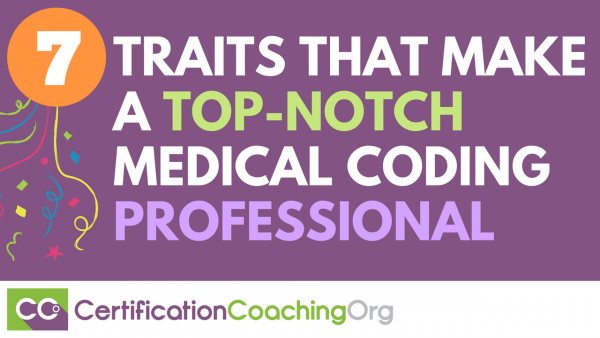 It also takes certain traits to be a top-notch medical coding professional. This trait is extremely important. As a coder, you must stay focused and work efficiently and accurately. You need to be able to pick out the most microscopic details, because missing the slightest detail can cause a huge impact on reimbursement. For example, when coding for a surgical procedure, you need to know that an incision into the body is referred to as -otomy, whereas an opening to the outside is referred to as an -ostomy. Hence, there is a big difference between a colotomy and a colostomy. And this leads to the wrong procedure code! You will be working with codes, which translate into money, so a strong analytical ability is needed. There are times when the records and information are in question, which requires good detective skills to analyze the data in order to assign the correct code. Appropriate diagnosis and procedure codes must be assigned in a timely manner and you will need to be able to validate the medical necessity of the service. Medical coding is complicated. Depending on your office, your facility may deal with thousands of patient records. Therefore, it’s imperative that you are able to juggle various documents without compromising quality and to complete the tasks in a timely manner. You need to show discretion, be honest, and have high morals, as you will be working with patients’ private medical information and will need to abide by the profession’s strict ethical code. Since Federal law and HIPAA requires you to keep patient information in confidence, you need to protect their right to privacy. If you make a coding error, be honest and admit it, and show that you are responsible. You won’t need to communicate directly with patients, but you will have to communicate with others in your department. You will also need to clarify patient details or questions about a patient visit with doctors and nurses. Possessing good social skills and professionalism can also help in communicating more effectively with others in order to do your job well. Being able to write a professional looking memo or query without spelling, punctuation, and grammatical errors is necessary and goes to your credibility. And nonverbal communication should not be overlooked either. Employers seek out coding professionals who have the drive and determination to work independently. You must be able to get the work completed without someone watching over you, which means producing quality work in an efficient manner. It is critical that you can remain focused without being easily distracted and that you can remain motivated without expecting constant external feedback. What do you think? Do you already possess these 7 traits? 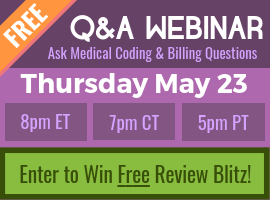 If so, you are ahead of the curve and on your way to becoming a top-notch medical coding professional! If not, don’t worry. Most of these traits can be learned on the job. Great post Debbie Jones! I like the list format and how you address each bullet point on the list so succinctly. You are a wonderful writer. Thank you, Jennifer. I appreciate the kind words and hope others find it helpful as well.